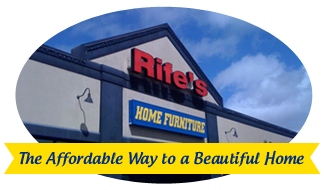 Rife's Home Furniture is proud to operate stores in Oregon serving you the best selection of furniture and mattresses from the top trusted brands. Please leave your feedback so we can better help you and our community! If you have a few minutes, please consider sharing your experience with others by clicking on the links below. Please Select Your Preferred Store Location Below and Leave Us A Review!